Applicants statewide are required to complete the open burn permit application and receive an open burn permit prior to igniting an open burn. After the application is completed and submitted, a copy is sent electronically to the municipal fire authority having jurisdiction in the area where the open burning will take place. The open burn permit application must be completed and a valid permit issued prior to burning. The open burn permit application must be completed and a valid permit issued prior to burning. Please see below for instructions and a link to the open burn permit application. Permits may be issued between March 30 - May 30, and, September 15 - October 30. Open burns shall be supervised by a responsible person and have available...on-site...the means to suppress the burn if needed at any time. The online open burn permit application program is tied to two things - first it checks to see if there is an active open burn window and second it checks the clearing index to see if it is forecast to be above 500. If there is not an open burn window or if the clearing index is forecast to be below 500, the program will not allow a person to complete the application. The clearing index is only forecast for a 3 day period so a person will not be allowed to complete an application more than 3 days in advance. REMEMBER TO CHECK FOR AIRSHED 5 TO FIND THE INDEX FOR OUR AREA. The regulations set by the Utah Department of Environmental Quality can be found here. To begin the application process, click on the "BURN PERMIT" button below and you will be taken to the DAQ website. 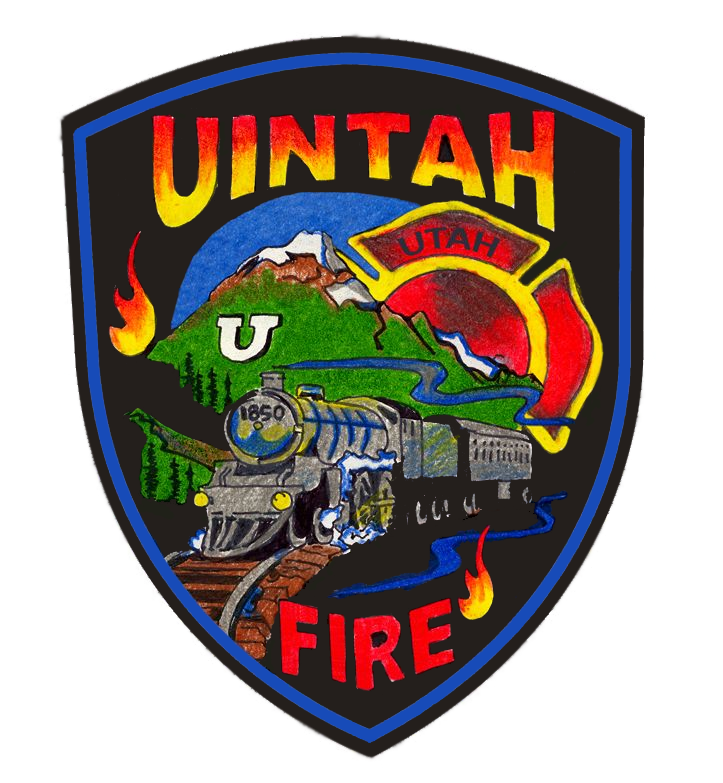 Once there, follow the instructions on their website by first selecting "Uintah City" from the pick list, then provide all information requested on the application. The permit is valid only at the address specified in the permit and is required to be on site at the time of the burn. All materials to be burned must be clearly described and quantified in the application. Applicants must be aware of any and all local (city requirements listed above), state and federal rules and regulations applicable to their area. Open burning is authorized by the issuance of a permit, as stipulated within rule R307-202-7(10). These permits can only be issued when not prohibited by other local, state, or federal laws and regulations and when a nuisance as defined in Section 76-10-803 is not created and does not impact the health and welfare of the public. By clicking on the button below, you agree to all the conditions laws and Utah Administrative Rules pertaining to the Open Burn Permit. You also understand that you are personally liable for any damage caused by your burning activities. The contact number for the Division of Air Quality is 801-536-4000. If a wood burning stove is your only source of heat, the stove must be registered with the Division of Air Quality to be exempt from the State Rule.